When last we left our intrepid hero, the unpleasantly-named Andy “School Prayering Mantis” Albright was recruited to the American superhero organization Sentinels of Liberty and Justice, but was sidelined for being too violent and murdering all villains with a sword. When his superhero friends ran into trouble, Mantis traveled to Germany in search of missing heroes Patriot and Constitution, where he chopped Macron in half with a flamberge and maimed the undersea neoliberal queen Angela “Merkill” Merkel. Merkill blamed the Russians for the disappearance of Patriot and Constitution and agreed to reveal the secret underground lair of the presumably-nefarious Globalist. Can Mantis rescue his comrades? Can he defeat the threat to liberty? Will America be able to have a new partnership with Russia? “No” is the answer to all three questions, but if you want to find out the specifics, read on. Steve: Just to recap, School Prayering Mantis can fly and turn invisible, and he’s super-strong, but his chief superpower seems to be having a giant sword that he is willing to use. Zack: I would say “eager” to use. Zack: Also he carries two Jade-handled Colt .45s. His other, other super power. Steve: Guns akimbo is probably the closest thing real life has to super powers. Steve: Right, you are on the back of Perry, a giant octopus summoned from the depths by Merkill to take you to the lair of the Globalist. Steve: You speed through an underwater tunnel deep into the earth’s crust. Lights and weird coral and schools of fish zoom past you as Perry dives relentlessly through the tunnel. Zack: This is not how I imagined spending my day off. Steve: As your tanks are running out of oxygen, Perry arrives at dead end of the tunnel: an enormous hatch set into the stone. Zack: I doubt Mantis would even know he is running out of oxygen. He has never been SCUBA diving before and that ugly old dude codenamed Face just sort of gaving him the equipment and told him to figure it out. Steve: Thankfully, Perry pries open the huge hatch and you are sucked into a chamber. Perry drops you off, the hatch closes behind him, and the water begins to drain out of the chamber. Zack: Taking off the SCUBA gear. Steve: There is a metal staircase climbing from the lower reacehs of the chamber to a platform and several doors. Steve: As you approach the platform, the doors are thrown open and a dozen armed men enter wielding those SMGs that they always had in James Bond movies. Steve: No, the other ones. Zack: MP-40s? The WW2 German SMGs? Steve: No, the British ones that showed up on Dr. Who sometimes. Steve: Yeah, they all have Sten guns. Zack: It has been an honor to serve with you in the 1st Gun Nerd Jagoff Battalion. Steve: You’re looking down the barrels of about a dozen SMGs. Zack: Are these guys wearing uniforms? Steve: Standard bad guy uniform of like gray pants with a black jacket and army helmets painted black. Zack: So they’re bad guys? I’m morally obligated to chop them up with my sword? Steve: Before you can start the massacre, a tall figure in a hooded cloak steps through the door. In one hand he holds a glowing orb with a map of the world on it, in the other hand he holds a Nobel Peace Prize. Zack: Last as in “previous” or last as in “final”? Because I’m pretty sure Donald Trump is the final President of the United States of America in the sense that he will be so great we won’t need any more presidents after him. 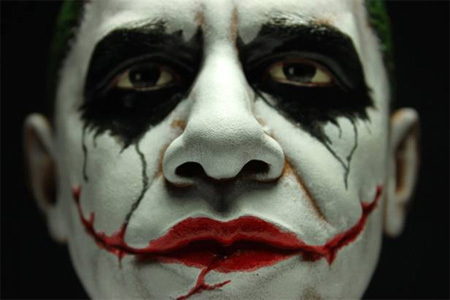 Steve: This is Barack Obama, the sinister leader of the free world. Commanding his drone army from his secret Deep State fortress in Brussels. He flips his cloak off his shoulder and strides forward holding his glowing globe. Steve: As if on cue, the helmeted soldiers step to the railing of the platform and level their SMGs at you. Zack: Globalist! Where are Constitution and Patriot? Zack: The only thing funny about the Constitution is which amendment I am going to cram up your keister. Zack: It’s the fourteenth. The worst amendment. Zack: I didn’t know Sorkin was an alias of Saul Alinsky. Zack: Mantis will walk and talk with the Globalist, but he will never turn his back on him. Keeping my flamberge at the ready in case he makes any sudden moves. Zack: Fake news. 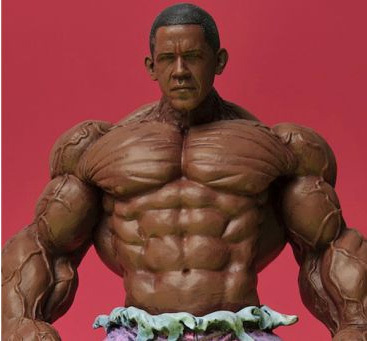 You just hate the president for trying to reveal your muslim alter-ego. Zack: Then why won’t you just produce the dang birth certificate? And why the war on Christmas? Zack: I don’t not know that. Steve: Well, Putin has used the genius of Tesla’s DNA to create the world’s most powerful mega robot. It’s called Komprobot. He used it to hack the American election and now he plans to use it to try to take my globe and control all the powers of NATO. Zack: Even if this were true, and I’m not saying it is because everything about you is a lie, why would they kidnap Constitution and Patriot? 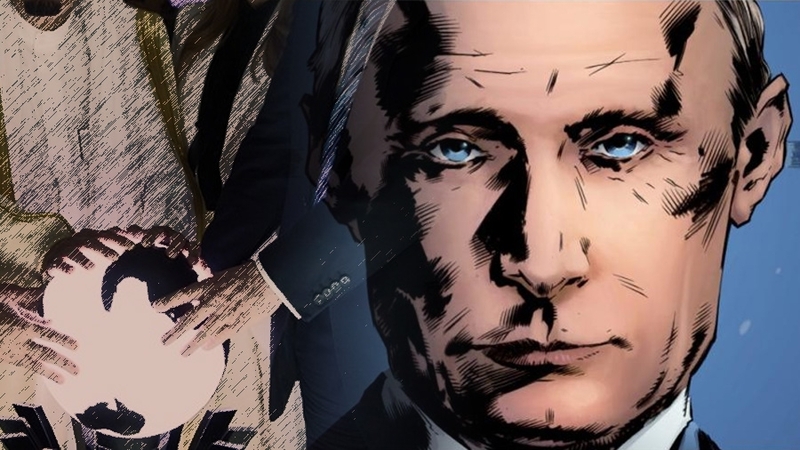 Steve: Putin is using Komprobot to take down NATO and the USA, but he wants all the super heroes of the world so that he can inject their DNA and become unstoppable. Zack: I had a full basketball scholarship to Founding Fathers Christian College, so I know DNA does not work that way. You can’t just inject it and turn into something else. Steve: Alright, smart guy, then tell me how does DNA work? Zack: It’s like Ikea instructions for God to use when he puts a person together. Steve: What if you could use those instructions to add a Fivnard bunk bed over a Oljberr desk? Zack: Then God would strike you down for hubris. Steve: Maybe we’ll luck out and God will shoot Putin with a holy death ray, but I’m not going to hold my breath. Steve: I am not certain of the means Putin intends to use to turn himself into this genetic monstrosity, but he has your friends and he will extract their DNA by torturing them to death. Zack: There are much easier ways to get DNA. Steve: He needs a lot of it. Zack: Even though I don’t trust you, Globalist, I have to reach my friends. Where are they being held? Zack: Yeah, great. How am I supposed to get there in time to save my friends? 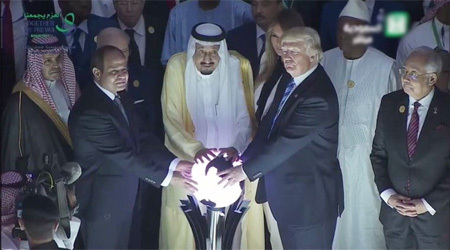 Steve: The Globalist hands you the glowing orb. Zack: Do we really need NATO? Zack: I’ll go when I dang well please, mister! Steve: The orb flashes with light and transports you across space, through the underverse, and back out into the real world. Steve: You are standing just outside a smoking volcano. An ominous building of concrete and steel in obvious Russian design juts from the black cliffs. Zack: Turning invisible, brandishing my flamberge, and heading inside. Steve: You slip easily into the base, past Russian biker gangs, Eastern Ukrainian militias, gene-freaked kill slavs, towering cybercossack beheaders, and growling wolves that can smell you but not see you. Steve: You see an elevator that seems to be heavily guarded by some sort of giant robot crossed with a beautiful woman. You also spot Face, the disgusting man you met in Germany, and he seems to be directing the activities of various spies and sleeper agents around the globe using video feeds and computers. Zack: Sneaking up behind him. Steve: You are standing right behind him. Steve: Since he doesn’t know you are there I’m going to say any hit is double damage. Zack: 14+10 so 24. Doubled is 48. Steve: Your sword cleaves through the top of his head, splits the chair in half and cuts him down the middle. The two halves slop onto the ground spilling out a bunch of guts. Steve: He responds by shooting a bunch of blood out of his everywhere and twitching. You’re covered in blood. Zack: More lies! It’s time to end this! Steve: The woman robot hybrid grabs you and flings you across the room at a wall. You take 19 damage. Steve: KOMPROBOT WILL DESTROY YOU! LIKE WE DESTROYED YOUR USA PRESIDENT! Zack: Does the globe have any actual power? Steve: Yes, it has the power that you can teleport anywhere in the world instantly. Zack: I want to teleport and make my fist materialize inside Komprobot’s head. Steve: Your fist will fuse with her brain and you will both suffer damage. Zack: You mean she’ll die and I’ll have a brain stuck to my hand? Steve: Well, more like incorporated into your hand. Your hand would be useless. Zack: Alright, my foot then. I don’t need my foot. I can fly. Steve: You teleport with your foot inside Komprobot’s head. She screams for a second as your foot tissue fuses with her skull and brain. She slumps over, her cybernetic arms whirring and spasming reflexively. Take five damage. Zack: I flap my wings to stay airborne. Hurt pretty bad. Zack: Time to put Putin down and rescue my friends. Teleporting into his glassed in room. Steve: You materialize in Putin’s inner-sanctum. Komprobot is still dangling from your foot so you won’t be able to do much flying around. You see the grisly remains of Patriot and Constitution have been flayed and pulped and turned into a DNA milkshake that Putin is drinking from a blender with a straw. Steve: “You are too late, yankee doodle idiot,” laughs Putin. He slurps up the last of the milkshake, belches, ahd his body starts to enlarge as his skin turns burned pink in color. Zack: I’m going to use the globe to teleport my other foot into Putin’s head. Zack: I have to do something before he transforms into this blasphemy with the DNA of Patriot and Constitution. Steve: You teleport with your foot materializing in Putin’s head. His veins bulge for a second and he screams through clenched teeth. Then there is a pop and blood pours out of his ears and nostrils. Steve: You have to flap your wings furiously to keep from falling over with the weight of half-giant Putin and cybergiant Komprobot dangling from your feet. Zack: I begin to weep at the deaths of my friends as I flap my wings. Steve: Outside, you hear machine guns firing and people shouting. You hear explosions and the sounds of helicopters. It seems some force is attacking Putin’s lair! Zack: I’ll teleport outside to see what is happening. Steve: You appear like a half-corpse colossus hovering above the battlefield as Navy SEALs and Texas Rangers rapel down from helicopters led by America’s Sheriff, Joe Arpaio. They’re beating the Russian forces. Zack: I will swing my sword half-heartedly, lopping off heads and maybe firing one of my Colt .45s at the Russian soldiers. Steve: The Russians are already retreating. You slice the head off one of them and shoot a couple others. Overhead, Marine Two circles and approaches a clearing. The ramp drops and out walks the president. Zack: I’ll hand it to him. Steve: “Yes, thank you for the globe,” laughs the president. Moments later, another helicopter lands and out steps the king of Saudi Arabie. Steve: “He is my master,” says the president and he kneels before the king of Saudi Arabia and presents him with the globe. The globe burns with supernatural energy and the president and king teleport away. Zack: So, wait, was the King of Saudi Arabia a good guy? Steve: He is the new master of the world and keeper of the globe. Zack: Who better to safeguard democracy and justice than the king of Saudi Arabia? Zack: Well, Mantis did his duty for America and what does he have to show for it? Steve: Eventually, two prosthetic feet I’m guessing. Unless he just wants to stay stuck to Putin and Komprobot until they start rotting and he dies. Zack: No, no, he’ll cut them off right there. Swing that flamberge as he weeps and sever his feet. Steve: The bravest hero the world has ever known. Kills everyone he faces instantly, often while being invisible and chopping them in half with a sword. Zack: Eh, it was a fair fight with Macron. Steve: Thank you everyone for joining us on this American nightmare! Zack: Thank you to our supporters on Patreon for feeding the beast (Steve) with your donations. He needs to eat. Steve: I eat a normal human amount of food. Zack: How many Tostino’s party pizzas a week? Steve: One per day but those things cost like two dollars man. Steve: I’m not squandering this money man. Steve: I’m saving for a Soda Stream.